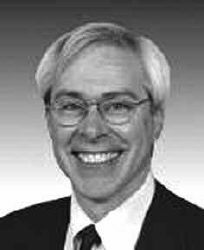 Congressman John Barrow (GA-12) announced that middleclass Georgians will see their take-home pay increase effective April 1. Under the American Recovery and Reinvestment Act that Congress enacted and President Obama signed into law in February, individuals earning less than $95,000 per year will not have as much of their income withheld from their paychecks for federal income tax withholding. The White House estimates that 3.4 million families in Georgia will benefit from the “Making Work Pay” tax credit, pumping an additional $1.7 billion into the local economy. This is one of the fastest and broadest tax cuts in American history. The “Making Work Pay” provision of the Recovery Act provides a refundable tax credit up to $400 for working individuals and $800 for married taxpayers filing joint returns through 2010. Families should see at least a $65 dollar per month increase in their take home pay. The credit will phase out for taxpayers with adjusted gross income in excess of $150,000 for married couples filing jointly and $75,000 for other workers, and thus is fully phased out for taxpayers with modified adjusted gross income in excess of $190,000 for married workers and $95,000 for other workers. For workers who receive a paycheck and are subject to withholding, the credit will typically be handled by their employers through automated withholding changes effective today. Because the tax change is retroactive to January 1, in some cases employees will have no federal tax deducted in recent paychecks. It is not necessary to submit a W-4 to get the automatic withholding change. However, an employee with multiple jobs or married couples whose combined incomes place them in a higher tax bracket may elect to submit a revised W-4 to ensure there is enough withheld to cover the tax for their combined income. IRS Publication 919 provides additional guidance for tax withholding.